Synthetic marijuana, also known as Spice, K2, Black Mamba or Crazy Clown is a chemically modified herbal substance that is more potent than marijuana. Unlike pot, which is grown, spice is manufactured by combining multitude of different synthetically created chemicals, in hopes of imitating the same tetrahydrocannabinol (THC) ingredient as marijuana. Synthetic marijuana can be prepared in edibles or drinks but is most commonly smoked. Spice is considered the “safe” and legal alternative to marijuana, to those that produce it and consume it. Synthetic marijuana can be sold at gas stations, head shops, and even on the internet, making it easy for minors and young adults to purchase it. K2 is marketed as incense and has labels that read “not for human consumption,” allowing the substance to be sold legally. The drug is very popular with teenagers a nd young adults. They usually either smoke the substance, similar to smoking marijuana, mix the drug with marijuana in a “joint” or “blunt” or brew it as a tea and drink it. Synthetic cannabinoids can also be purchased in a liquid form and smoked through a vaporizer. 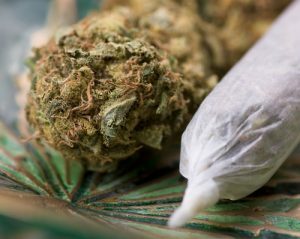 Most users believe the drug is much safer than marijuana, because it is considered legal in the United States. Spice also does not show up on most drug screens, further pushing the idea that it is not harmful. Additionally, many users who abuse other illicit drugs, such as marijuana, cocaine or opiates and are drug tested regularly, will substitute their drug of choice for synthetic marijuana because it cannot be detected. The reality is, synthetic marijuana is extremely dangerous, and the marketing surrounding the drug is putting many people’s lives and well-being in jeopardy. The drug and alcohol rehab Clearbrook Treatment Centers has helped hundreds with their synthetic marijuana addictions over the years. We offer a customized addiction treatment program for anyone who is suffering from a spice addiction. When you arrive at Clearbrook, you will undergo an assessment and evaluation by our medical team. At this time, our team will gather as much information as possible from you, regarding your history and use. This is done to ensure that we are offering the most effective and safest care possible to you. Many times, withdrawal can be an uncomfortable process, and we want to do everything we can to ease the symptoms. Once we have all of the pertinent information, our medical staff will craft treatment plans individually suited to your needs, as well as order medications, when necessary. Once you have completed a medically supervised detox, you will then engage in our specialized synthetic marijuana addiction program. Your primary counselor and clinical team will design specific treatment plans to address issues that may have contributed to your spice addiction. It is also at this time that you will participate in small groups, didactic lectures, one-on-one therapy, relapse prevention groups and family educational groups. Clearbrook believes in incorporating the 12-step philosophy of Alcoholics Anonymous and Narcotics Anonymous. During your stay with us, you will also be given an introduction to local fellowships and meetings. Once your 28-day inpatient treatment is over, we will provide you with a necessary aftercare plan so you can continue your journey on the road to recovery. Parallel with your detoxification and treatment process, your continued care plan will be one specifically designed for you and your needs. Our clinical team will work closely with you and your family, as well as other outside sources, such as employers and court systems (if necessary), to give you the best chance of lasting sobriety. If you or a loved one are in need of a synthetic marijuana rehab center, then give our trained staff a call today to learn more about our options with synthetic marijuana addiction treatment. For more information regarding our detox and rehab facility, please contact us today. We have decades of experience in effectively treating chemical dependency and alcoholism, and have helped hundreds with their synthetic marijuana addictions over the years. We can help your loved one safely detox from the drugs and give them the necessary tools to achieve continued sobriety. You are not alone. Help is available.